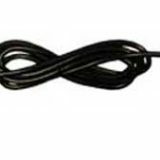 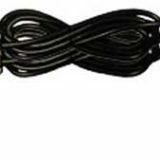 Australia Ungrounded Plug Adapter 10A 250V Two insulated pins (half-way covered by plastic) News Update: Australia is now enforcing this new standards! 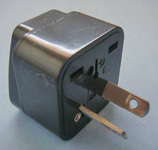 Universal Input: accept Type A ~ Type L plugs; i.e., accept any country-specific plug except Type M plug (the huge 8.7mm South Africa plug). 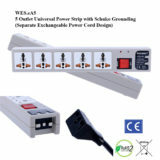 Single Output: Suitable for Australia, New Zealand, China, etc.